Luminous prose, quietly endearing characters, and sobering history. I loved so much of this beautiful middle grade book, and yet I'm mixed about one major subplot, much as I was with FOX HOLLOW. I think the story is engrossing enough--and frankly, more powerful without it. But it says something about the beguiling nature of the author's writing that I only needed to see her name to know that I wanted to read this. Jorjeana Marie's narration is just perfect for this story, too. Review of come of the audio edition. 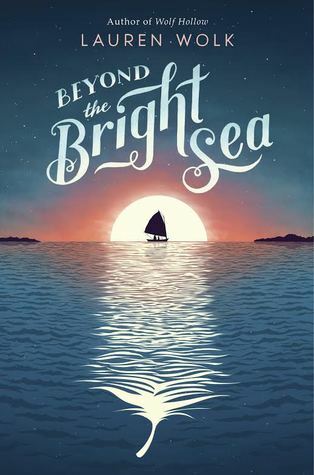 Sign into Goodreads to see if any of your friends have read Beyond the Bright Sea. Hey Wendy, would you be up for some book recommendations?? I try to keep my shelves updated, but do you need something specific? Thanks so much, Jackie. <3 Hope all is well with you. No no, don't worry Devon. It was a little confusing because I thought you were asking for recommendations, not trying to add to my massive TBR list. No harm done, though! Which subplot did you think was unnecessary. I liked this book a lot, but I loved Wolf Hollow. Hi Travis--I didn't love the subplot about the missing treasure and the (practically mustache-twirling) villain that was after it. I really like everyday stories about ordinary kids that don't have to involve "big adventures," and both this book and WOLF HOLLOW (which I agree was the better of the two) felt like one of those, except for this type of thing. I know I'm likely in the minority on that preference, and I'll be interested in reading what everyone else thought once I've written my review. I agree that the writing and the unique setting were enough that the subplot could have been eliminated, but I wonder if in this age of the thriller if the story would have had enough momentum for the majority of readers. Especially young readers for which technology may have made them less patient for a slow story to unfold. Good point, you are probably right about that. I'm grateful there are still stories like The Penderwicks: A Summer Tale of Four Sisters, Two Rabbits, and a Very Interesting Boy and Calpurnia Tate series that are still written and published, but they don't tend to be as popular. Don't get me wrong, I love fantasies and mysteries! But I do mourn the dearth of books about ordinary kids who are just figuring out their place in the world, because I think life is plenty scary and inspiring without A Big Thing. Contemporary YA has an audience, it's interesting that MG doesn't seem to have an equivalent interest. When I was a kid, I read a lot of books about kids going to camp, dealing with siblings, etc, and I read books about kids growing up in various eras, particularly the 1900s, 1950s, 1960s. You only seem to get a glimpse of daily life for grade school kids now if they're wrapped up in other adventures. Anyway, I still enjoyed this book very much! Just a personal thing that I wish we saw more of. They are a favorite for read aloud at our summer house in Coastal Maine.